Cooking recipes found on Pinterest, and giving honest feedback on the end result. In honor of spring break quickly approaching, and my longing for warm breezy spring days, I decided to make a spring themed treat! A year or so ago I found this recipe from “The Curvy Carrot”, and thought it was too cute to pass up. I pinned this to my Tasty Treats board so I could save it for a rainy day (like today)! I started the process by spraying the muffin tin with pam spray to make sure the mixture wouldn’t stick once I attempted to remove them. 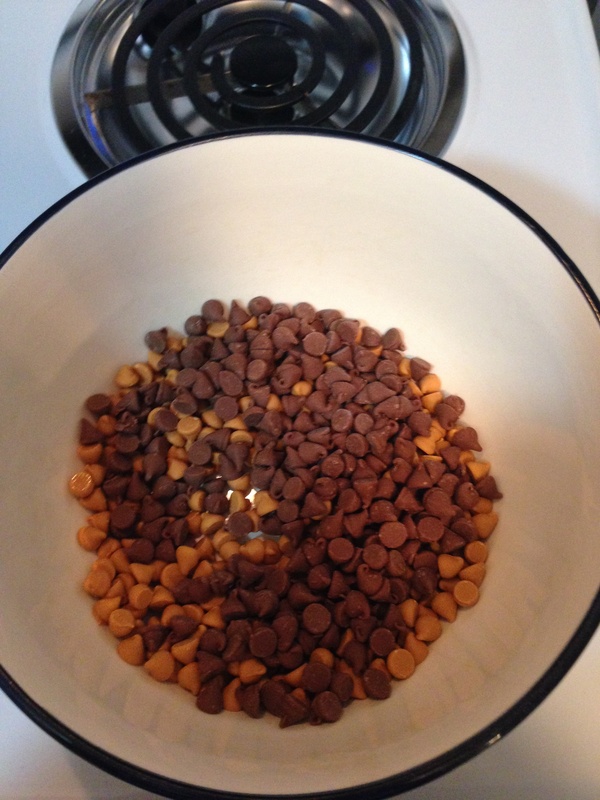 Then in a large bowl I put the semi sweet chocolate chips and the butterscotch chips, and then I microwaved them in 30 second intervals, stirring in between. It only took two 30 second intervals for the chips to be completely melted. 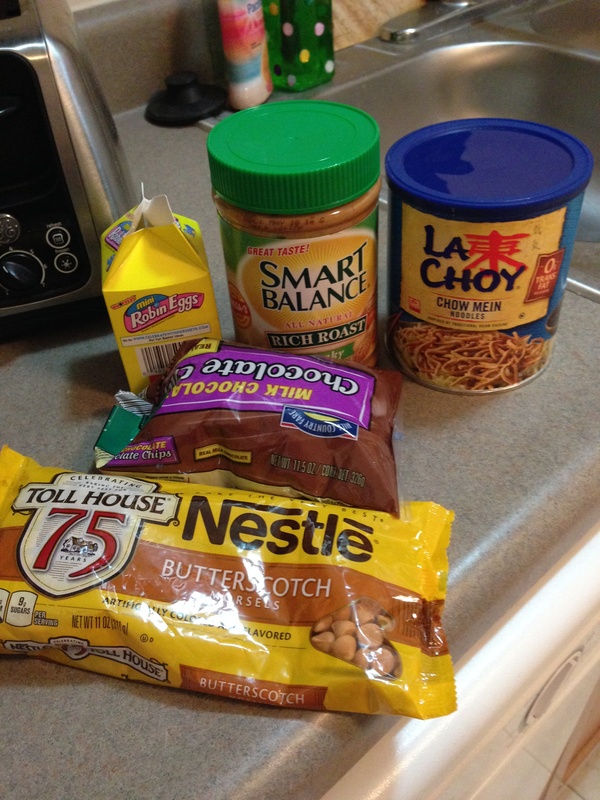 I next added peanut butter to the mix. I decided to add chunky, but you could do creamy if you prefer. 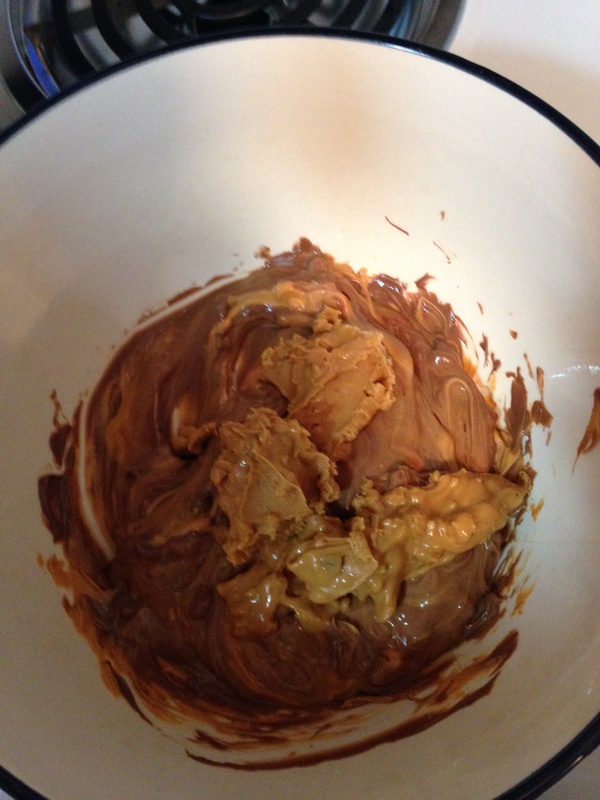 I stirred the peanut butter in with the chips until it too was completely melted. Next came the chow mein noodles. I used a rubbed spatula and mixed them in till they were completely coated. 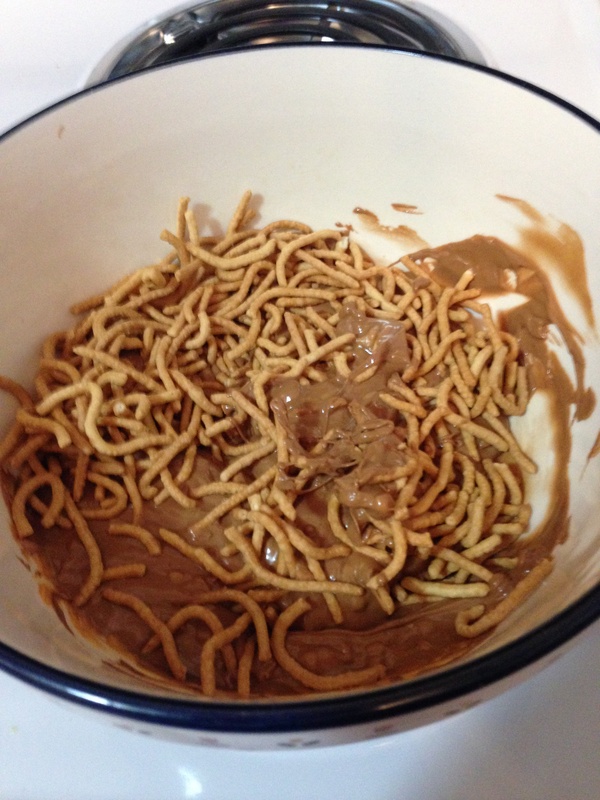 Note: It is okay if some of them break as the mixture is thick. 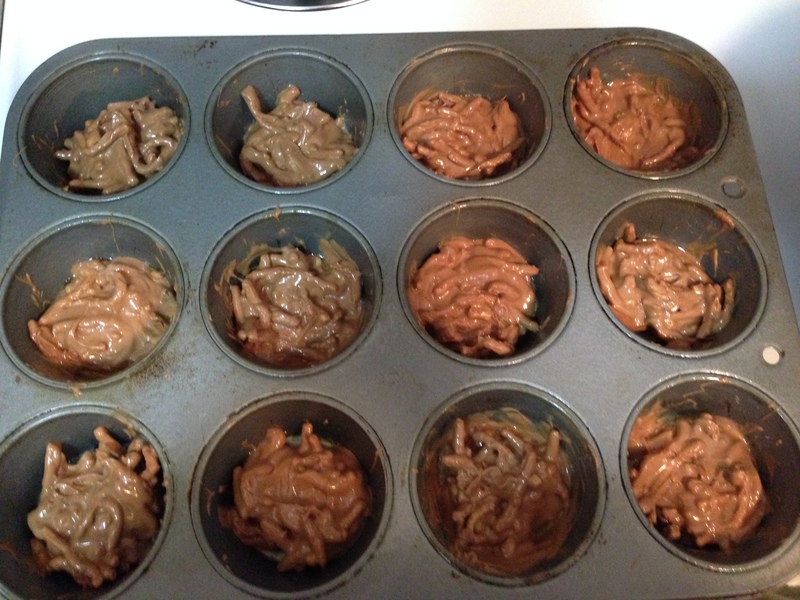 Finally I scooped the mixture using a spoon into the muffin tins. This should make about 12 servings, depending on the size of your tin. I put them in the fridge for about 30 minutes to let them harden, and I popped them out with a spoon easily. I then topped them with Whoppers Robin Eggs and served. I brought these to a meeting I had tonight, and they were gone in a matter of minutes. They are so delicious, and have that nice mix of sweet and crunchy! 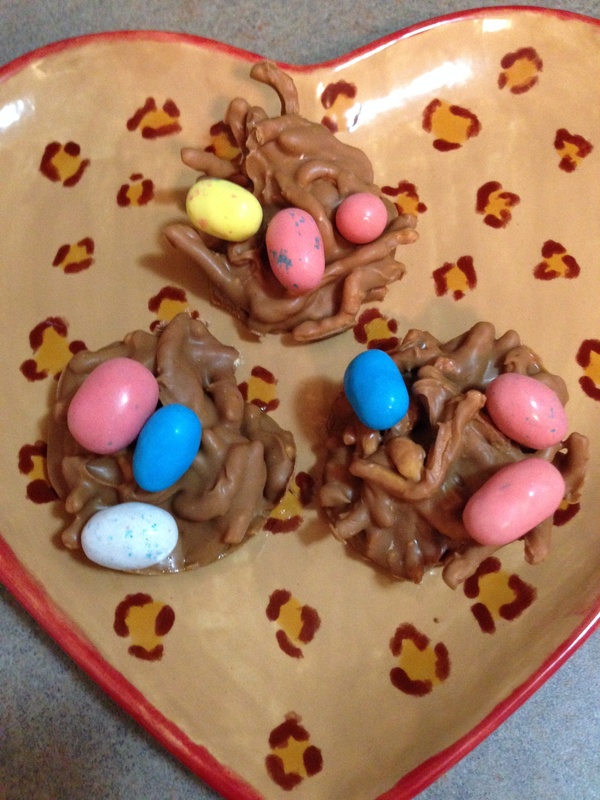 I plan on making these again for Easter. Pinterest may look like its a website strictly for women, but in actuality it isn't. There are so many things for everyone to enjoy. and Science... just to name a few. Whatever your hobby is there are plenty of tips and tricks floating around on Pinterest, you just need to make your own board and start pinning them.